Building a website is like building a home or an office. One of the basic components of constructing any physical structure is a blueprint that shows in detail what the outcome is to be. A wireframe can be defined as a blueprint of a website. Some would want to skip this stage and move directly to the design phase but this is an (arguably) wrong decision. This is a fact of life – that things come out better if its foundations are solid. The basic elements are very important so that the foundation comes out stable and firm. Creating a web site means you have got to have wireframe software, at least that’s what we (and other experts) think. Using such tools would not only save you the trouble of regretting not having used a blueprint. These tools will also ensure that everything will go as planned. 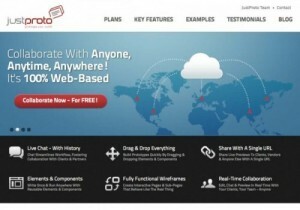 Pidoco is one of the most promising web-based application software in wireframing. The key feature of this application is that is has a drag and drop wireframe capability. With this feature, making wireframes is easier and faster. Another fascinating feature of this software is that there are templates available in making wireframes. This would definitely save you more time while maximizing your output capability. 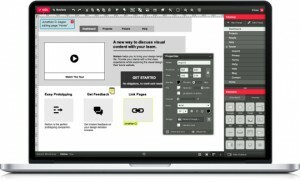 Compared to its predecessors, iPlotz take wireframing to a whole new level. You can create wireframes with this software by just clicking and dragging it wherever you want. Adding and deleting wireframes is just a click away. This software is also compatible with many OS that has browsers with Flash in it. Another cool feature of this program is that it can be shared with your partners in which they are allowed to make changes if necessary. A wireframe can be defined as an outline of the web site you are planning to create. Wireframing is a necessary step in creating a web site so that all the components you would want to place on it will be organized and perfect. 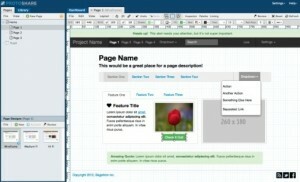 Gliffy is a program that lets you make wireframes for your web site. It is easy to use since you will only need to drag and drop boxes or lines at any location on your web page. Other features such as adding text and eventually using colors is also available in this software. 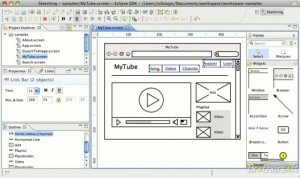 Wireframe Sketcher is another tool used to make wireframes for a web site. Creating wireframes with this tool is convenient and easy. It also has a drag and drop option for quick and prompt wireframe creation. This application also has a share function in which teams can simultaneously work on a certain project without encountering any technical problems. 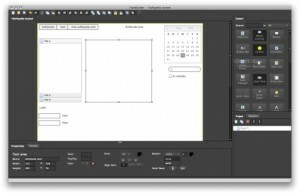 Flairbuilder is another remarkable application for creating wireframes. It has all the necessary features that an application should have in order to create fast and high quality wireframes with just a few clicks. This program also has a feature wherein the user can switch back in forth from a high to low fidelity scheme. It is very appropriate for doing presentations for different audiences. The program also has sharing capabilities which allows your teammates to work with you in the wireframing process including editing. 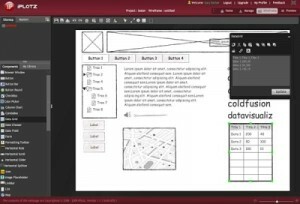 Templates are also included in this program for creating instant prototypes. JustProto is a wireframing tool that promises quick and inexpensive wireframe creation. This program allows clients and designers to simultaneously chat while in the process of making the project. Drag and drop features are also included in this package making it a favorite among many. Sharing the prototype or the wireframe output with anyone you like is also possible with its real time interactive collaboration option. 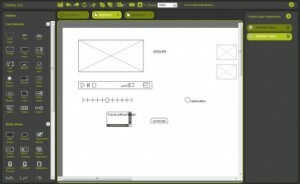 Omnigraffle is a diagram and wireframing application that is specifically designed for Mac users. 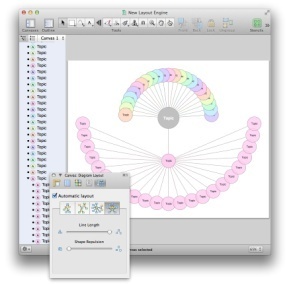 This is commonly used for diagramming purposes but it also has a wireframe creation capability. This program creates wonderful diagrams and wireframes via drag and drop capabilities. It is also suited for creating quick sketches for basic web site creation and it even allows technical wireframe designs for a more complex sites, if that is the requirement. 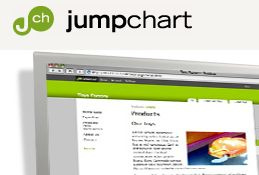 Using Jumpchart to make wireframes for your web site is a smart choice. It uses simple yet effective features in creating the foundation. Quick and easy to use, Jumpstart uses drag and drop options for cleaner and faster means of creating wireframes and prototypes. This application can also share finished or ongoing projects remotely for better collaboration and execution. You can create very concise wireframes with this tool. Its main advantage is that it is very thorough and the designer will promptly and clearly see any flaws in design. Protoshare is one of the most popular wireframing and software developing application that professional developers use. It has a simple graphical user interface that is rich with features for the creation of wireframes and other technical tasks. Simple and complex wireframes can be easily created with this tool’s drag and drop option. Sharing the concept material and finished product would not be a problem since this program also includes live collaboration and sharing options.